It's 100% Free, 100% Anti-Spam and you may Unsubscribe at Any Time! Posted on 15 April 2014. Chances are you are like the rest of us, looking to live your life and put in your work years until you can retire. Many of us are looking to age 65 as a goal, the age of retirement! Turning 65 doesn’t automatically mean that you are able or ready to retire. Take a look at these 4 signs to see if you’ll be ready to retire. One of the keys to understanding if you are looking to retire can be found in the base understanding of what retirement is. 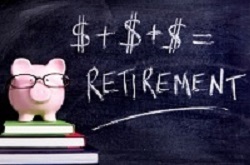 Everyone is aware of the financial responsibility in saving up for one’s retirement. While that is important, it is not the only responsibility to prepare for when it comes to retirement. Studies have been done worldwide about the importance on one’s health in remaining both physically and mentally active. When it comes to retiring from the active workforce, this concept is not any different. In fact when one retires it becomes more important than ever to remain active both physically and mentally. It would be safer to see retirement as the withdrawing from the daily grind of having to make money to the transition stage of enjoying life and a second career. Retirement is the time that you have to really pursue your dreams, your interests, and your hobbies that life and fiscal responsibility may not have allowed for in your earlier years. The financial side of retirement is probably one of the best sides understood when it comes to the general population. Looking to retire by a certain age in recent years has certainly become more a daunting task and less of a perceived reachable goal. The global economy is only just recently, within the last couple of weeks starting to see any glimmer of recovery. The generation before is living longer than their retirement funds, causing those looking to retire to stay on the job longer. 62 years of age used to be the retirement age. When the economy collapsed many saw 65, many more are looking at 67 to 70 years of age as a retirement age. As healthcare laws are changing, the overall need to secure one’s financial and medical future has become a chore on its own. New studies have released that only 18% of the current workforce is entirely comfortable with the savings they have accrued so far and feel at ease towards retirement. Many are turning to starting their own businesses in order to try and generate long term residual income in order to better prepare so that they like you can retire. Those of us, however statistically few that really enjoy our jobs are in no rush to quit and leave behind a career that is both financially and emotionally fulfilling. An enjoyable career is nothing that you should be so quickly looking to quit, because of the joy that brings into your life. Many of us are looking at retirement as a way to finally enjoy our hobbies and hopefully most, try and get those hobbies to bring in some money on the side. If you have already achieved that why would you want to give it up? When you have transcended the need to make money and truly enjoy your job, more than not your job is less of a job and more in your life. There is no need to retire from what you enjoy so long as you maintain your ability to let the satisfaction of doing this job. Many of us will spend the better part of our lives working. After years of having to go through the day to day grind, as we approach retirement age we find ourselves losing our sense of purpose. All too often the very aspect of working we may hate externally, internally it gives us a sense of purpose. Many of the current working generation has already taken this concept into consideration, more for the financial security than the sense of purpose but the principle remains the same. When looking at retirement we will b looking at a secondary career in a hobby or subject matter that we enjoy. For the vast majority of us this understanding of how retirement is changing and redefining our purpose will lead to the evolution of how we view retirement and prepare for it. These 4 signs may show that you are not as prepared or ready for retirement as of yet. There is always time to recalculate how you plan on approaching your goals for retirement or rather how you prepare for you later years. Financial security is just as important as your mental health and happiness. investing in your retirement is just another way of investing in yourself for the long term during the present. Stay informed about the latest on investment information by getting on our FREE eMail list! April Ruciglliano - who has written 2169 posts on StockRockandRoll. « Website Not Generating Business? No Problem.